Overhead Door Company, Muskoka, ON | AAA Door Guys Inc.
We are an overhead door company that has a lot to offer to our customers in Muskoka, ON. 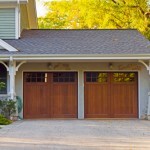 There are many different options when it comes to garage doors. Some styles have panels that move easily when you open or shut the door, while another style has a single metal piece that allows for entry into the space. At AAA Door Guys Inc., we are an overhead door company that has a lot to offer to our customers. We have been in business for more than 25 years and continue to provide the same excellent service to every client. Our showroom is open on Monday through Friday, 8:00 a.m. until 5:00 p.m. We also have 24-hour emergency service 7 days per week. As an overhead door company, we take safety very seriously. Garage doors are heavy and rely on durable springs to allow them to move up and down freely. If damage occurs to the springs or another component of the door, you could have a dangerous situation on your hands. It is always best to leave repairs and maintenance of your garage door to a professional who knows how to safely fix the problem. Each of our technicians is also fully insured and licensed. When we perform a repair, replace a garage door, or provide maintenance services, we offer a full guarantee on the work we do. As a full-service overhead door company in Muskoka, Ontario, we also provide installation and service on dock levelers, operators, and related accessories. If you have any questions, or if you would like to schedule an appointment, please contact us today. 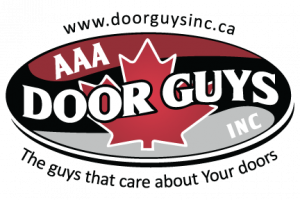 At AAA Door Guys Inc. we are a quality and affordable overhead door company in Muskoka and the surrounding areas including Orillia, Angus, Barrie and throughout Simcoe County!